MGMT show they aren’t done writing beautifully trippy pop songs. 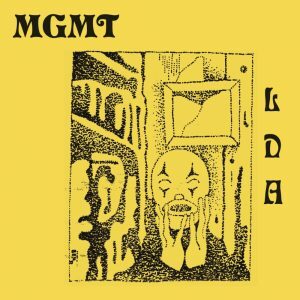 MGMT did something a little different when they released their first single “Little Dark Age”, the title track, to the world back in October. They went 80’s goth. The decade is clearly making a huge comeback, but the band went about it a little darker, with eerie lyrics and musical tones and a music video inspired by The Cure. It is their most pop friendly single since they released the now-classic Oracular Spectacular (2007) singles 10 years prior. Two months later, they released the much trippier song “When You Die”, reminiscent of Congratulations (2010) – another “pop” song that has enough originality and MGMT weirdness to make it stand out. The next pre-album single is the beautiful and Beach Boys influenced “Hand it Over.” It’s the slow jam off the album and perhaps the best track of the bunch. Other fantastic songs from the record are “Me and Michael,” which feels like it was George Michael inspired, due to its vocal production, delivery, and the name George Michael. It’s destined to be a hit. The hilariously-meta music video even predicts that it will be popular. There is also the groovy and psychedelic “TSLAMP” or “Time Spent Looking At My Phone.” This is a definite jam with lyrics that may hit some a little too close to home. With all that said, the album isn’t perfect. “Days That Got Away” leaves something to be desired, and at times the album can sound a bit monotonous. Overall Little Dark Age shines immensely. It’s a great introductory to the band for new listeners, as well as those who enjoyed the pop appeal of Oracular Spectacular and the experimentation of Congratulations. This is the appropriate blog for anybody who desires to find out about this topic. You understand so much its nearly exhausting to argue with you (not that I really would want…HaHa). You positively put a new spin on a topic thats been written about for years. Great stuff, just great!